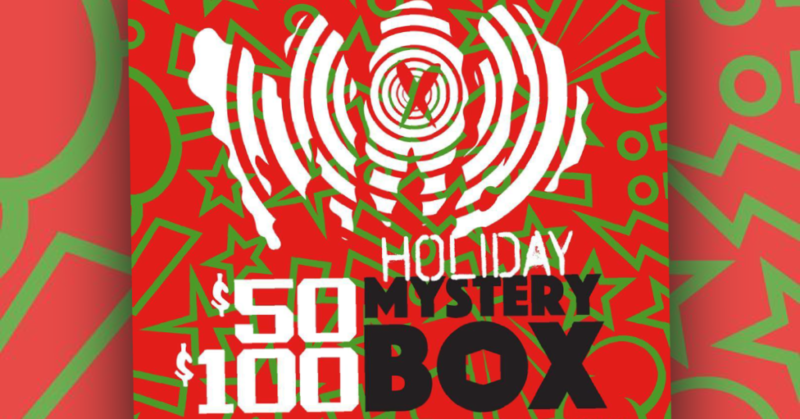 MAD Toy Design Holiday Mystery Boxes! It appears you guys like Mystery Boxes, right? If you’re keen on adding some MAD holiday cheer to your life you can do no wrong by purchasing one of the new limited MAD Toy Design Holiday Mystery Boxes that MAD made available a little earlier today! Available in a $50 format and a $100. These are limited to 10 of each box. Full of MAD toys, prints, resins, samples, apparel and other cool stuff that MAD finds in his studio. We hear good things about these boxes. If you’re interested in snagging one, you’ll need to head on over to the MAD online store HERE before they’re all gone!